What did you name your Wrangler? 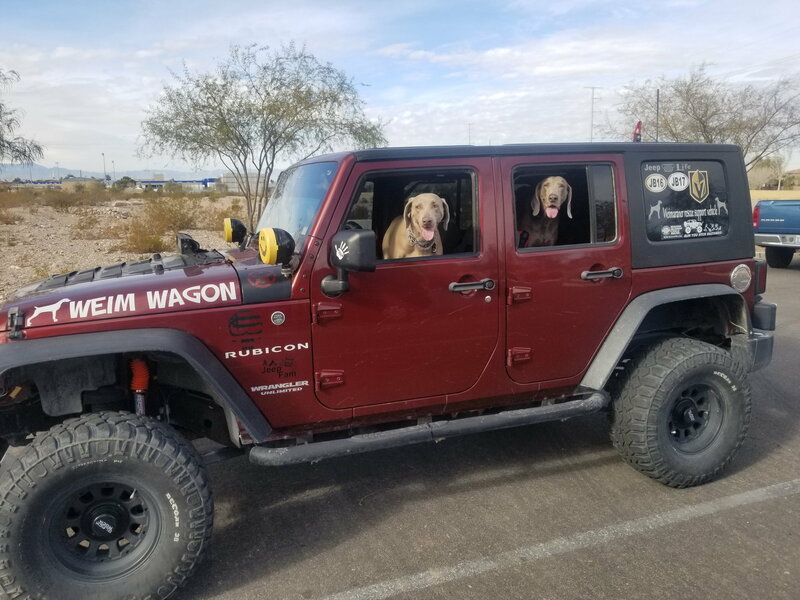 My wife and I use our JK to transport Weimaraners from our local pounds to local rescues. That's why ours is named Weim Wagon! What do you take into account when buying winter tires? Quick Reply: What did you name your Wrangler?